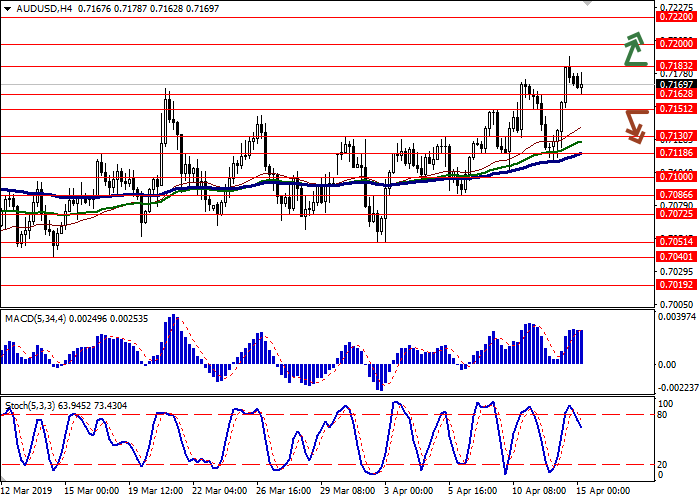 The Australian dollar steadily strengthened against the US dollar on Friday, updating local highs of February 27. The Australian currency was supported by Chinese macroeconomic statistics, as well as the rather voluminous report of the RBA on financial stability. The latter, although showed the lowering of growth prospects for the Australian economy, contained words about stabilized external risks and the improved situation on the labor market. Today the instrument is trading ambiguously, waiting for the appearance of new drivers. Investors are focused on the New York FRB index on business activity in the manufacturing sector, as well as the presentation of the Fed representative Charles Evans. Interesting statistics from Australia will appear on April 16, when the minutes of the RBA meeting will be published. The Bollinger Bands in D1 chart show moderate growth. The price range is expanding failing to catch the "bullish" dynamics, which indicates the risk of a corrective decline in the short term. MACD indicator is growing preserving a moderate buy signal (the histogram is above the signal line). Stochastic shows oscillatory dynamics near its maximum levels, weakly responding to the Friday resumption of growth. One should keep the part of the existing short positions in the short and/or ultra-short term. To open new transactions, one should wait for additional signals to appear. Resistance levels: 0.7183, 0.7200, 0.7220. Support levels: 0.7162, 0.7151, 0.7130, 0.7118. To open long positions, one can rely on the breakout of 0.7183. Take-profit — 0.7220-0.7230. 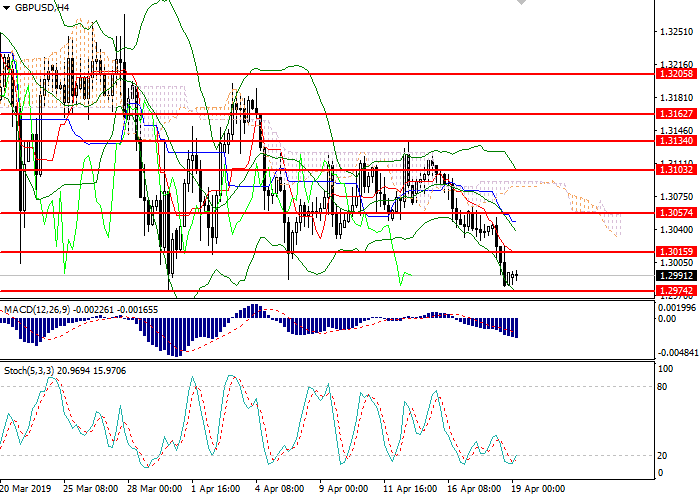 Stop loss – 0.7165-0.7162. Implementation period: 1-2 days. 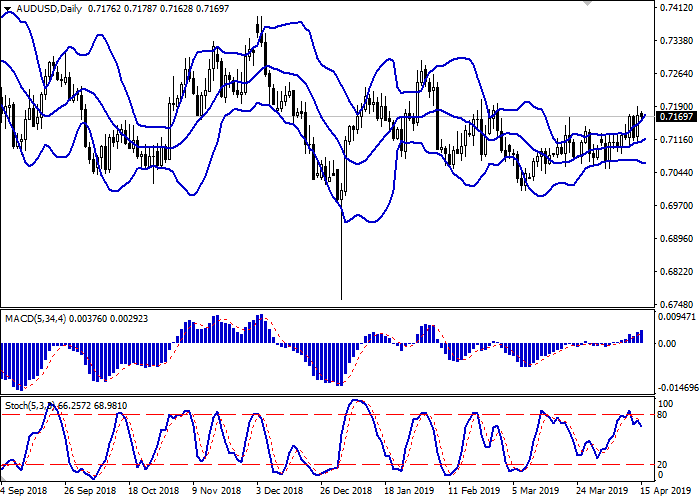 The development of "bearish" dynamics with the breakdown of 0.7151 may become a signal to start sales with the target at 0.7118-0.7100. Stop loss – 0.7170. Implementation period: 2-3 days.